Can you type the letter of the artwork that's NOT by the same artist as the other three? Many of the works of art had to be cropped to fit. 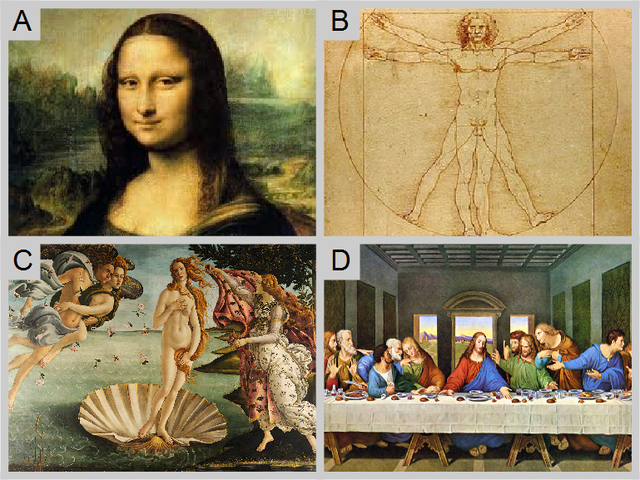 Most of these are famous works, but style and subject matter should also help you spot the odd ones out.